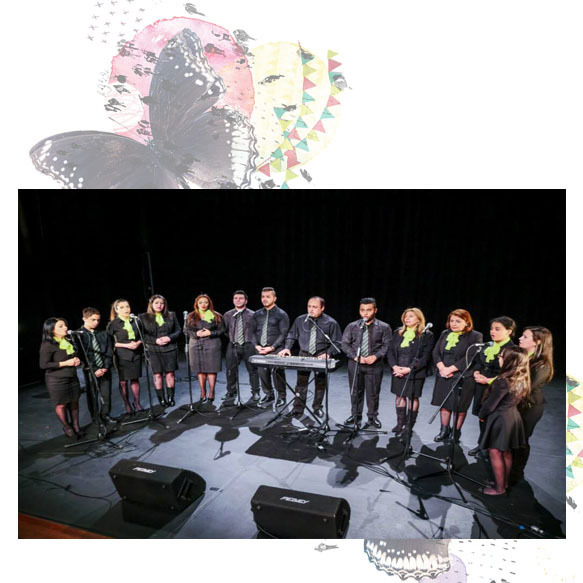 As an inter-generational and inter-cultural community choir, the Peacemakers Ensemble embodies members from our richly diverse Mesopotamian-Australian communities, all of whom are of refugee backgrounds and who have suffered immensely from the trauma of war. The Peacemakers singing is of a culturally-rich kind that promotes the rich beauty, heritage and repertoire present in multicultural Sydney. Through Middle Eastern and Mesopotamian folk music and song, The Peacemakers use the power of music and the arts as therapeutic tools for healing. The Peacemakers are based in Fairfield and performing at Darling Harbour for the first time, so this 10-piece ensemble will be sure to delight our senses!